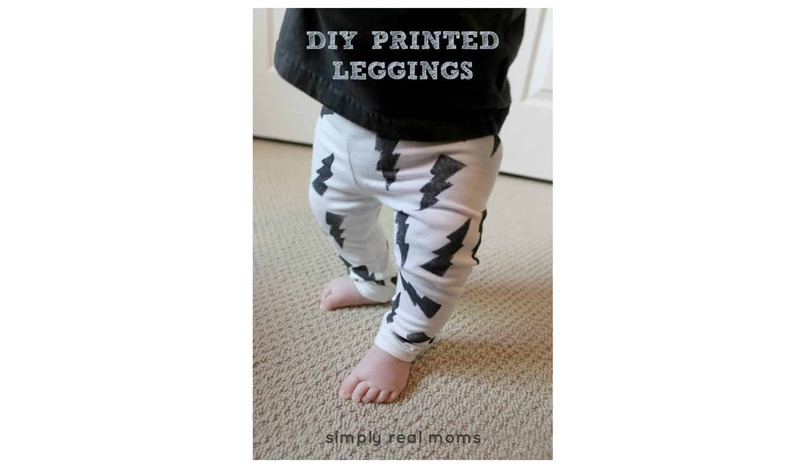 Fun, funky printed leggings are in for kids right now!! 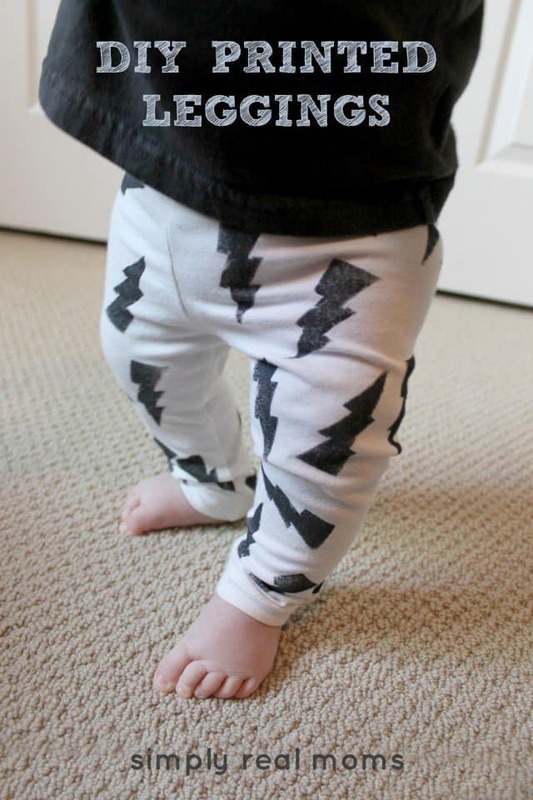 Boys and girls alike are wearing these tight pants with modern designs on them in all the fashion pictures I see out there, but I’ll be darned if those suckers cost $20-50 EACH! No thank you. 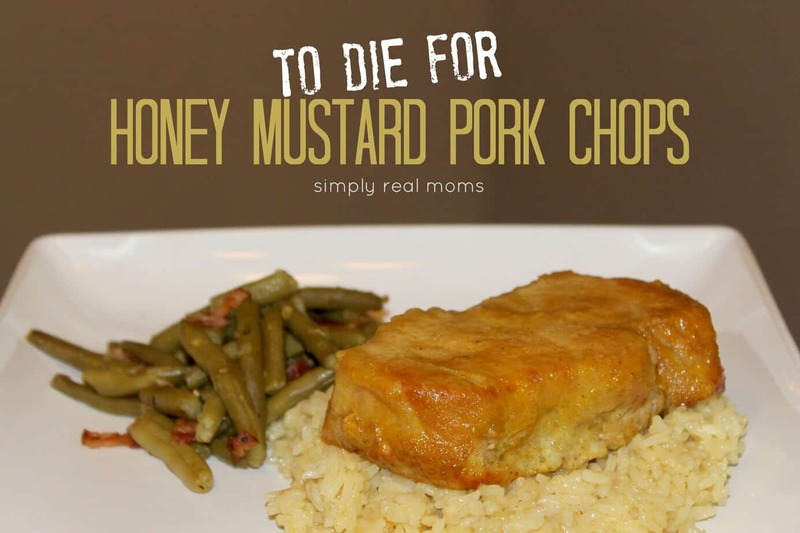 I am one mom who will always find a cheaper way to get the things I want for my kids and this was one I was determined to win. 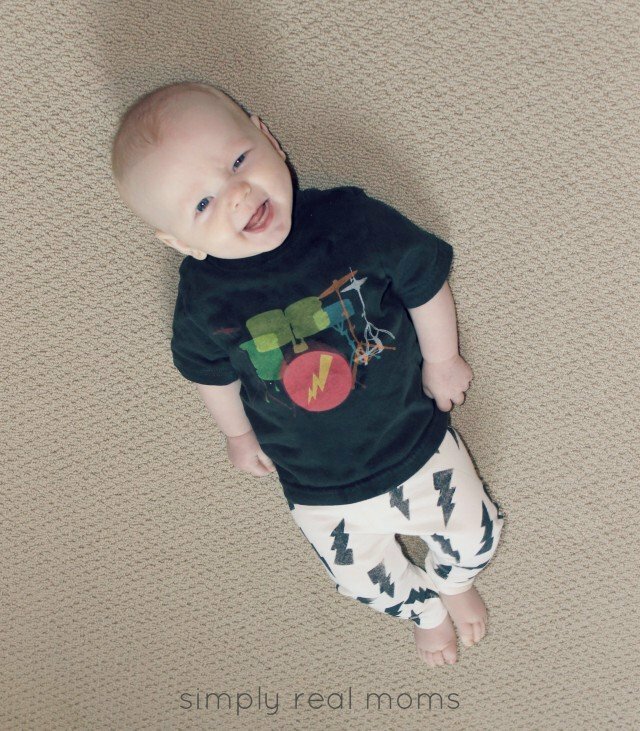 I wanted to spend as little as possible to get custom leggings for my boy. I used my homemade stamps, as well as some bicycle stamps I used for an upcoming Simply Made project. 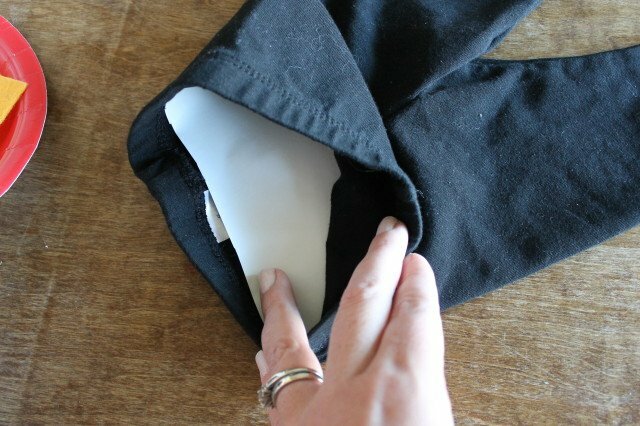 Place some paper inside of the leggings. I used some old wrapping paper, but any paper will do. Now, you’ll need to make a stamp pad. 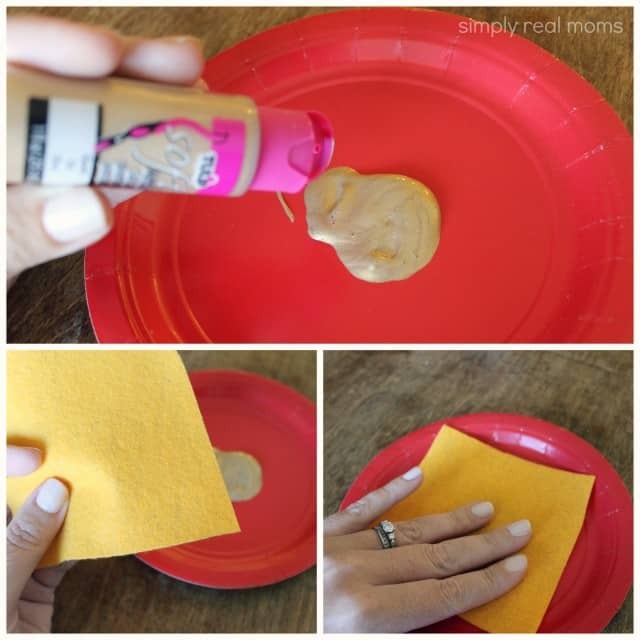 Squirt a little fabric paint onto a disposable surface. I use paper plates. Top with a square of felt. Any color is fine…I just used yellow because it’s so happy. 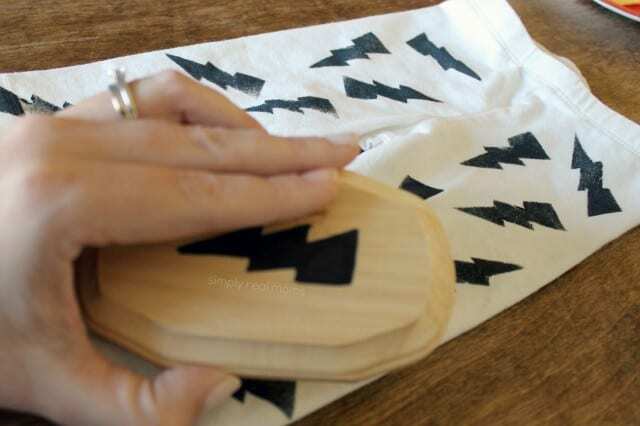 Push down on the felt with your stamp over and over until the paint comes through…you’ve now made yourself a stamp pad! Press your stamp onto the pad and make sure to get paint on every part of the stamp. 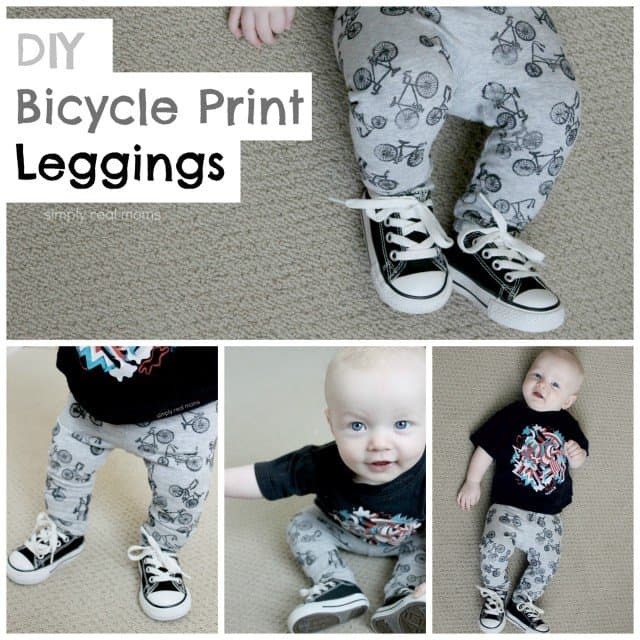 Press the paint covered stamp onto the leggings. Repeat this process until you have the desired look you want. 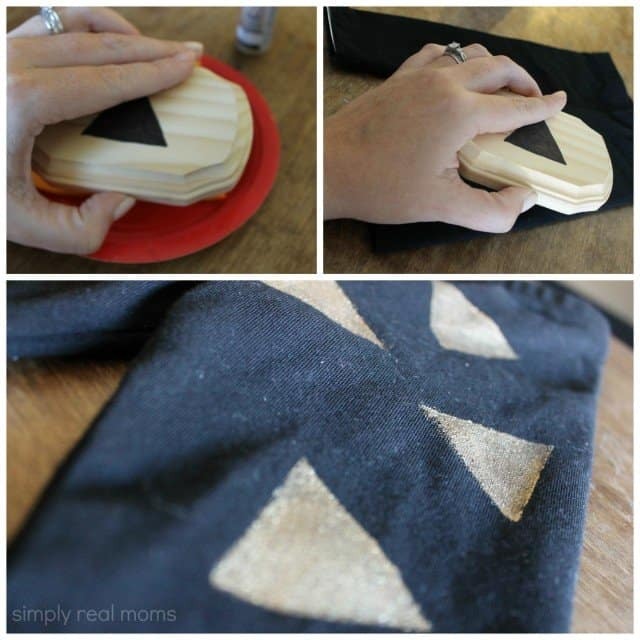 The fabric paint is washable, so once it dries, it will stay put! The paint will seem stiff at first, but once you wash it it will relax. I do notice that darker paint on lighter fabric will fade over time, but it won’t ever wash off. Have fun with shapes and colors! This time I went with black white and grey leggings with black and gold paint, next time I’m going a little more bold with color!! I love working on my own projects, I have so may DIY projects going on, I am not sure if I am ready for a new one but it will surely be a great experience.Lets hope for the best.